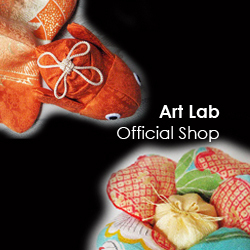 The crepe handiwork is historical traditional handicrafts from the Edo era. The crape is a silk fabrics, which is beautiful, sensitive and elegant texture. Most of size of the handiworks are palm-sized. The crepe silk has been loved as materials of the Japanese kimono from Edo era, approximately 300 years ago, to the present era. 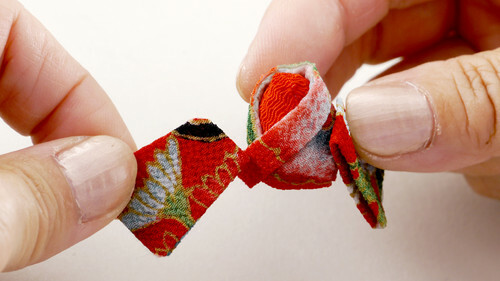 The crepe handiwork is that sewing the small remainder of crepe cloth from kimono and making a small bag, a flower, a bird, an animal, a doll or a toy. 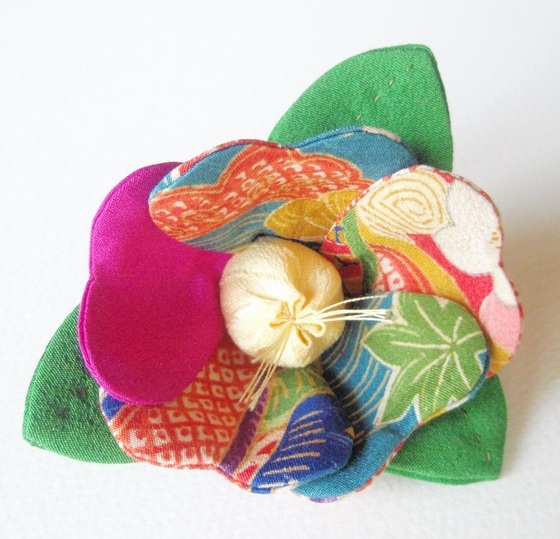 So, it’s a useful and decorative small pretty arts, which is innovated by Japanese women. 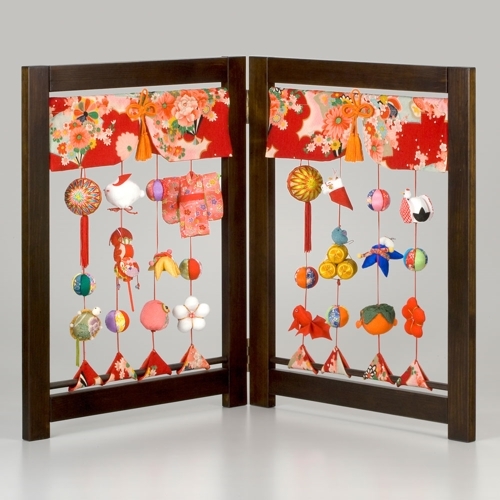 Upper class women started the handiworks from end of Edo era, and it was taken over many generations. The quality of work has been so sophisticated after the time gradually. 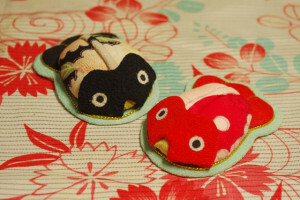 the crepe handiwork is handed down as a one of Japanese women’s education. People say that the skill trains us that having aesthetic sense of good taking care for every things, and having skill of detailed works. Even if the era is changed from Edo to Meiji, it became more popular. From the Meiji era through the Taisho era, documents about the crape work were published one after another. However, after the changing of people’s life style in Japan, from confusion by the war and being the Westernization , it had been forgotten gradually. 2 Responses to "The Crepe Handiwork Had Been Forgotten Gradually"
I still saw this is a lot when I lived in Japan. And I also knew several people who made these crepe handiworks, although most of them were older women. In Belgium, lately handiwork has become very popular again, after it was forgotten for many years. Young people are doing things like sewing, knitting, crochet and lace work again. So maybe this will happen in Japan as well? I hope so! I also hope so. People demand to use computer, I am also one of them, using only eye and brain. 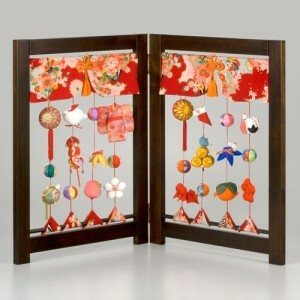 The handiwork would be great to use finger and touch materials. I heard some of cafes provide knitting club in Australia. It’s good idea to encouraging those works!! I would like to researching for same type of Japanese cafe as well for next topic!